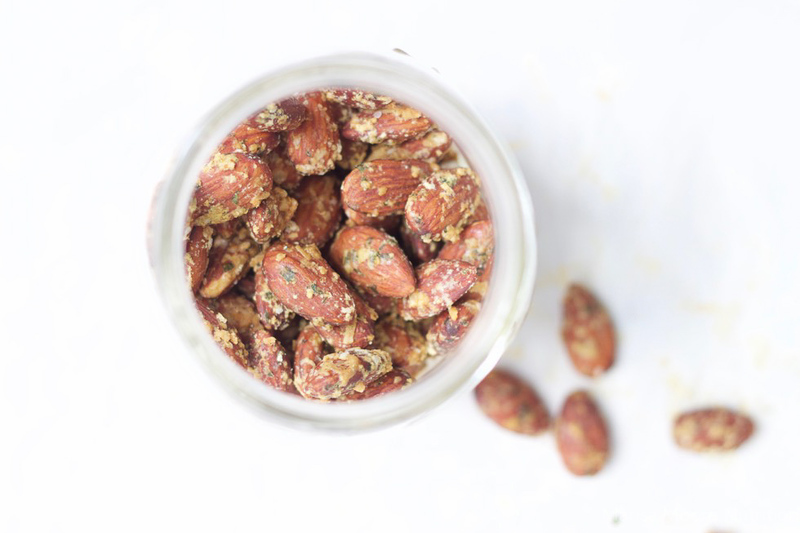 These Pesto Roasted Almonds are the perfect snack or crunchy addition to salad or pasta! 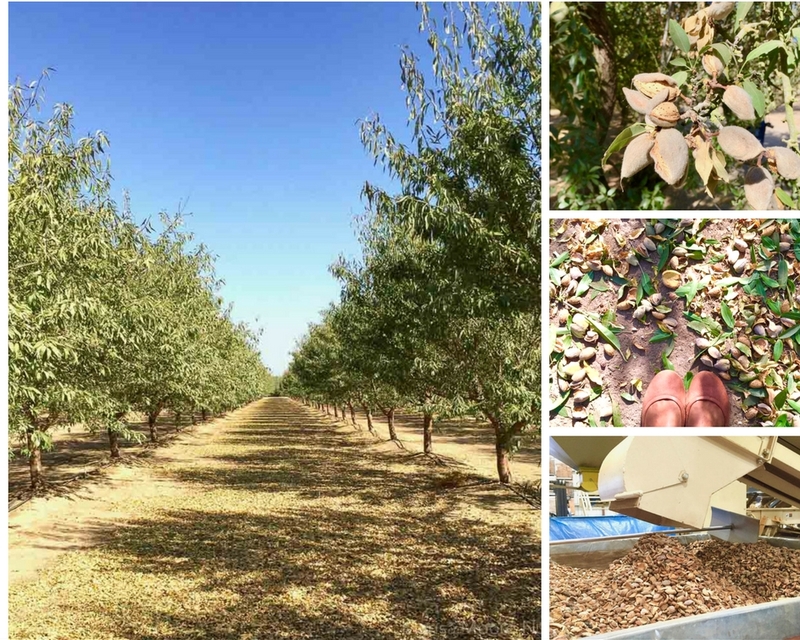 Disclosure: California Almonds paid my expenses to attend the 2016 Almond Harvest Experience, but I was not compensated to write this post. I just wanted to share this delicious recipe and a little of what I learned on the trip! Last month, I was invited to California’s Central Valley to witness the almond harvest firsthand. It was fun to see how almonds go from the orchard to the kitchen all while hanging out with fellow registered dietitians and food bloggers. Almonds are a tree nut. They grow in clusters surrounded by a protective hull and shell. Getting the almonds off the trees couldn’t be simpler. A person drives an “almond shaker” machine that shakes the tree to release a shower of almonds onto the ground. The nuts are swept into rows to dry, collected and taken to a facility to be shelled, sorted and sent to us! 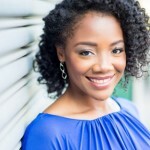 Sustainability is top of mind. Almonds have three parts. We eat the almond nut (or kernel) but the other two parts aren’t wasted. The almond hull is used to feed livestock while the shells are used for animal bedding and as an alternate energy source. Honey bees are essential to almond production. The bees move pollen between the different varieties of almond trees in the orchard to pollinate almond blossoms. Once fertilized, those blossoms become the almonds we eat! I know it sounds like a lot of work for the bees but the pollen also nourishes the bees. It’s a win-win. 82% of the world’s almonds come from California. The Mediterranean-like climate of the California central valley makes it one of the most productive almond regions in the world. Almonds are not a particularly thirsty crop. In fact, almonds use about the same amount of water as other fruit and nut trees in California. Find out more about almonds and water usage. You’re probably familiar with the health benefits of almonds. They are a nutrient-packed nut with 6g of protein, 4g fiber and 13g good fats in a one-ounce serving. That’s a lot of nutrition in just a handful of nuts. I fell in love with this snack at one of the meetings and decided I’d have to make it at home. Roasted almonds are delicious all on their own. Add fresh basil and parmesan, and you have a snack that’s hard to resist. And luckily you don’t have to. This recipe is quick, easy and tasty. TIP: Make these roasted almonds when you’re having eggs for breakfast or lunch. Use the leftover egg yolk and the drained egg white basil mixture in scrambled eggs or quiche. If scrambled eggs aren’t your thing, check out this article from The Kitchn for other Ways to Use Leftover Egg Yolks. Line a baking sheet with parchment paper. Set aside. Using a blender, puree the egg whites and basil. Toss the almonds in the mixture. Pour into a sieve or colander to drain off the excess puree. In a medium bowl, toss the almonds with parmesan, salt and garlic powder. Spread in a single layer on the prepared baking sheet. Bake 1 hour - stirring every 15-20 minutes. Once done, eat a few warm roasted almonds because the aroma will force you to take a taste. Allow the nuts to cool completely. Store in a sealed jar. TIP: To reduce food waste, make these on a day when you're going to have eggs for breakfast or lunch. Use the leftover egg yolk and the drained egg white and basil mixture in scrambled eggs or quiche. Recipe adapted and reprinted with permission from California Almonds.